Rodeo royalty has always been an important asset to the rodeo. Rodeo royalty girls act as ambassadors of the rodeo, going from rodeo to rodeo inviting the public to our rodeo. 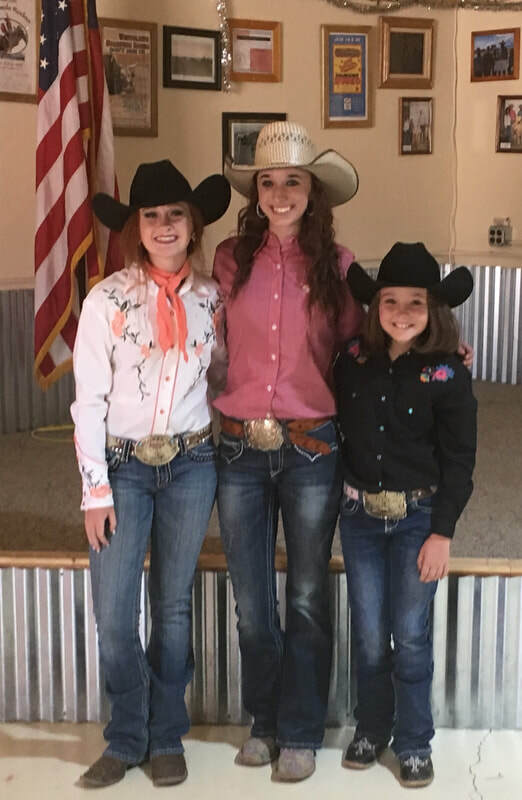 The rodeo royalty is chosen through a pageant held by the saddle club. Rodeo royalty is a great way for young girls to get involved and add some sparkle to the rodeo. We are currently seeking sponsors for our 2019 Royalty Team. If you or your business are interested please let us know. All sponsors will be generously represented at the 2019 Westcliffe Stampede Rodeo.